Don’t you just get royally frustrated sometimes when you constantly get the run-around from your local city or state offices? Virginia resident, Nick Stafford decided he had enough and fought back! According to the Bristol Herald Courier, Stafford wanted to know which of his four houses spanning two Virginia counties he should list when licensing his son’s new Corvette. He called the Lebanon, Virginia DMV, but his call routed to a call center in Richmond. He then filed a Freedom of Information Act request which gives citizens the right to access public government information…and phone numbers. When Stafford called the Lebanon DMV with the number he had obtained by filing his request, the Lebanon DMV told him that number wasn’t for public use. After several attempts to call the number again, the Lebanon DMV finally gave him the information he was looking for. Stafford then went on to try and get the phone numbers to nine other local DMV offices, but the Lebanon DMV employees wouldn’t give him those numbers. As a result, Stafford filed three separate lawsuits in order to get those numbers. When all was said and done, he spent over $1,000 for the lawsuits and his lawsuits were dismissed by the judge upon request by the State of Virginia. However, Stafford wasn’t finished just yet. Sales tax on the Corvette was $3,000 and Stafford wasn’t about to just walk in and hand them a check. 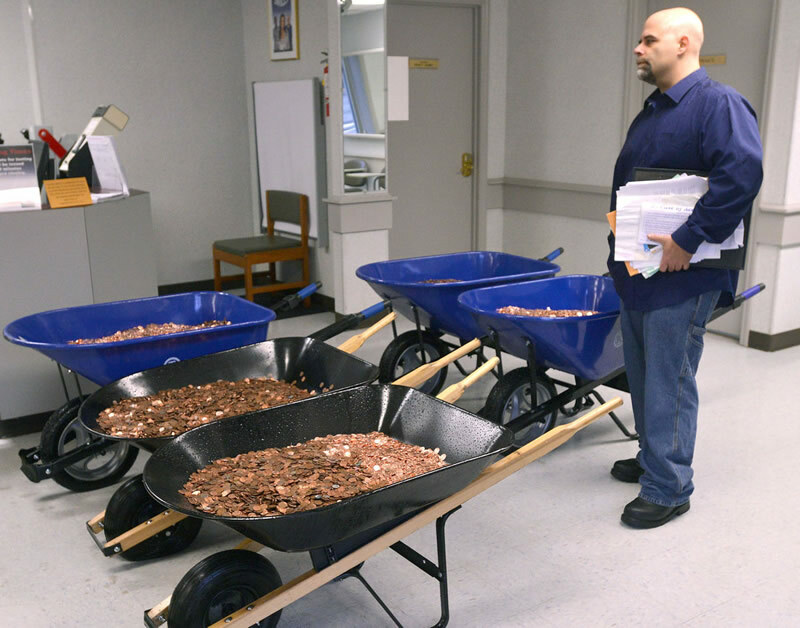 Instead, he used wheel barrows to roll in 300,000 pennies to the Lebanon DMV. A little over the top, but he got his point across! Good for you Nick!